Sportswear has been a common source of inspiration for designers this season, however James Long has taken it and created something truly unique. 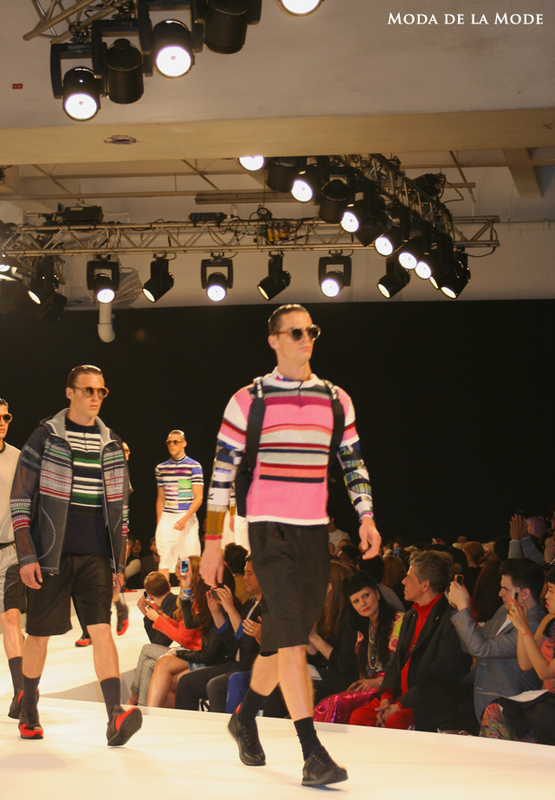 Inspired by cycling and the neon brights of the Lycra, James long mixed his signature knitwear with baggy monochrome shorts and mesh outwear. The show began with a dim of lights and a faint metallic tinkling sound as if the cyclists were just preparing for a race. 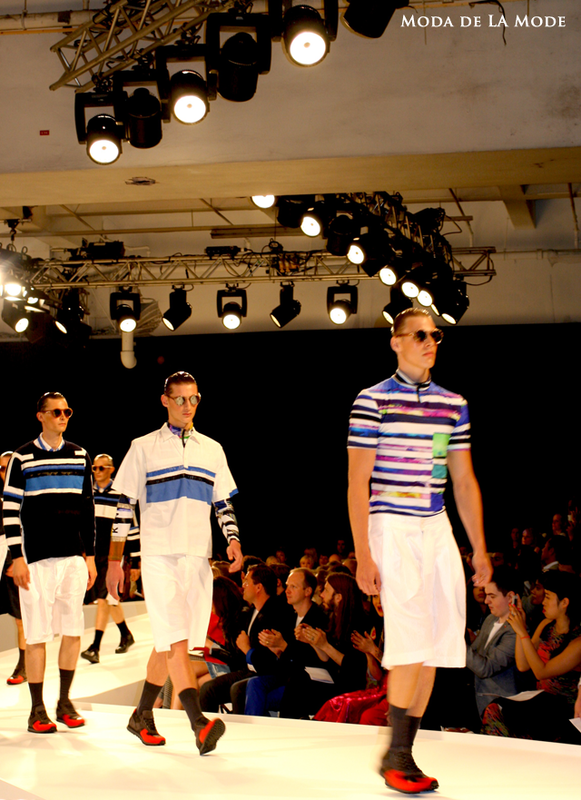 Music cut in and models walked out, neon bursts of colour shooting through the monochrome mesh of their garments. Although very precise in his design approach, James Long knows exactly how to master subtlety. Varying textures are intricately paired together, only noticeable to those looking closely at the collection. If you are wondering what pattern will be big next season, James Long only has one answer for you! Stripes!